Traffic in Shillong has reached a saturation point and there can be no respite until and unless we think out of the box. I pity the traffic police who are hard pressed by the insurmountable traffic. They seem to be reaching a point of depression. It seems that the Traffic Police Department is deriving some psychological satisfaction by merely changing traffic routes from time to time. They have also exhausted all sorts of combinations and we are back to square one. There is no use of experimenting with different routes because the crux of the problem remains the same. Traffic jams are worsening. The Urban Affairs Department in collaboration with the PWD must come up with a permanent solution. 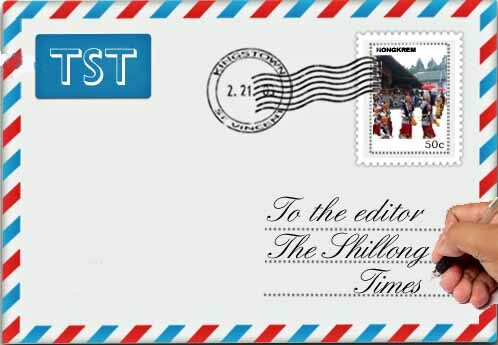 It is obvious that Shillong needs a few flyovers to resolve the issue to a great extent. The roads can never be widened and usually most jams take place at junctions. In my opinion, some flyovers are possible at places like Polo Bazaar, Dhankheti, Police Bazaar, Barik and Umshyrpi (Rhino) and a few other places. It is a lame excuse to say that Meghalaya is an earthquake-prone region. Perhaps the government will come up with such an alibi. If other countries in the world who are more prone to seismic dangers, can build mighty flyovers and skyscrapers with modern technology, why can’t our State do it? Our city has reached a point when even pedestrians find no more space to walk without a threat to their lives. We are nearing the day when we would take three to four hours to travel from Mawlai to Nongthymmai. Governments come and go but none seems to take this existential crisis seriously. In these past few years, Guwahati has seen the construction of so many flyovers which have eased the city’s traffic considerably, but for us in Meghalaya, the only flyover we have is at Barapani constructed by some company. Will the Shillongites see any tangible improvement in the coming days or are we to content ourselves with the traffic jam? As a teacher I welcome and appreciate the step taken by the government to raise the standard of education in the state by incorporating the NCERT curriculum and following the CBSE syllabus for the Higher Secondary Science and Commerce stream. This will definitely benefit the students to a great extent helping them to score better marks and equip them with the ability to compete in the all India entrance examination such as NEET, JEE etc. and also preparing them for various competitive examinations like Staff Selection Commission, Civil Services examination, Banking examination etc. In fact there should be uniformity in the standard of education particularly at the Matriculation and Higher Secondary level so that students get equal opportunity in terms of education irrespective of the place or region from where they come from. However, what concerns us and what we fail to understand is the neglect of the Arts stream which is left to follow the low standard MBOSE syllabus. This discrimination shown to the Arts students clearly imply that they are the inferior lot incapable of comprehending the NCERT curriculum and CBSE syllabus. This will surely evoke a feeling of inferiority making them incapable of competing at the national level. The question that arises is; What is the fear of MBOSE and the government if the Arts stream is brought under the NCERT curriculum? Is it bad to have a uniform standard of education? What about the thousands of students in the state who study in the schools affiliated to CBSE? Are they not from Meghalaya? Then we have subjects that are common in Commerce and Arts like Economics, Computer Applications, English etc. What syllabus will they follow? Now if for these common subjects MBOSE decides to continue with its own syllabus, the question that further arises is, ‘where is the uniformity?’ Where is the standard of education? These are very pertinent questions that need to be answered by the Government of the day. We cannot have two sets of standards. We cannot have two sets of curriculum. Hope the government wakes up from its slumber and saves our education system for the future of our students. The Government’s intention to review the upper age limit for MCS officers at the recruitment stage is worth applauding; at least some legislators discharged their duties as true representatives of the people The issue was raised at the form filling stage as well but the entire episode got submerged under the festivity of assembly elections. It’s an opportunity for the new government to correct the flaws and earn a niche of its own in the political arena. The current age bracket already eliminates many aspiring candidates for no fault of theirs. Last year’s notification came after a gap of almost a decade hence many candidates have already moved to the higher age bracket. It’s unfair to disqualify candidates based on the current age limit. Moreover this bracket is far below UPSC and other state PSC’s age criteria. A more pragmatic consideration is to raise it to at least 37 years, if not 40 would have created a level playing field. Raising the age limit to 45 as per the demand might not be practical, considering the physical demands of the job, and as correctly stated by the CM, a mere 13 years service is too short to be productive and is poor returns for the government after spending adequate resources behind each officer. Another point to be noted here is with regards to the superannuation age of 58 years as per the state rule, which is too low. Madhya Pradesh recently raised the retirement age to 62 years. Life expectancy has improved considerably in India so why not extract more valuable time and inputs from these officials who have accumulated peak experiences – a potential to contribute to the whole governance process. The age bracket 45-60 is the most productive phase for any work force since attitude and aptitude and productivity is at maximum threshold provided officials perform their duties with integrity and passion. The first 10-15 odd years i.e., from 28-40 ages are more of a learning phase to garner experience and expertise. Hence sending off an official at his peak level is definitely a huge loss for the Government and the official apart from denying him the opportunity of promotions. The best possible scenario for the current impasse is to raise the upper age limit up to 37 (max 40) years for entry stage and extensions of the retirement age up to 60 if not 62 years. This would be an ice breaker deal for both the parties ( Government and candidates) and giving a generous 25 years service to each officer.